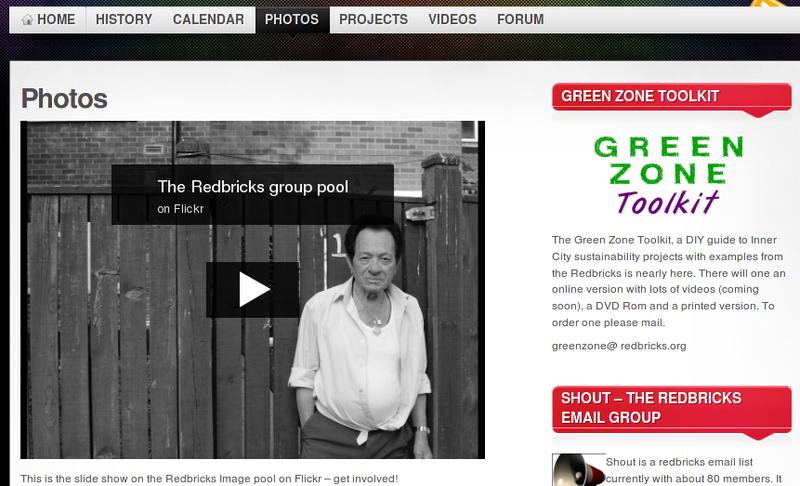 Unfortunately, when we started the Green Zone project, the community part of the Redbricks website had became very out of date and had been put out of service many years ago. One of the first actions we took on as project workers was to work with some residents to help the process of reinvigorating it. We helped to convene a meeting open to all residents on the estate to work out how to proceed. At the meeting, we agreed to form a “webteam‟ in order to create a community website for the estate. We decided to use the website system WordPress, as it is a very simple system to train people to use. This was important as community groups were invited to update their own pages and take on joint ownership of the website. We agreed on a basic template which was based around the existing groups on the estate. Each group would have a page that described the group. It included vital information about what they did and how to get involved at the top of the group‟s page. As the group added news, updates and details of events, they would also be added to their page. The front page of the website listed all of the news and events added by the different groups. The latest posts appeared at the top of the page. It was also easy to navigate to the home pages of the different groups. We then created some extra pages for videos, photos, history of the estate and a calendar of events. The end result was simple in structure and easy to navigate. The new website was built very quickly and went live in July 2010. Along with the community mailing list, it has been a very useful tool in promoting all of the activities that have happened on the estate. 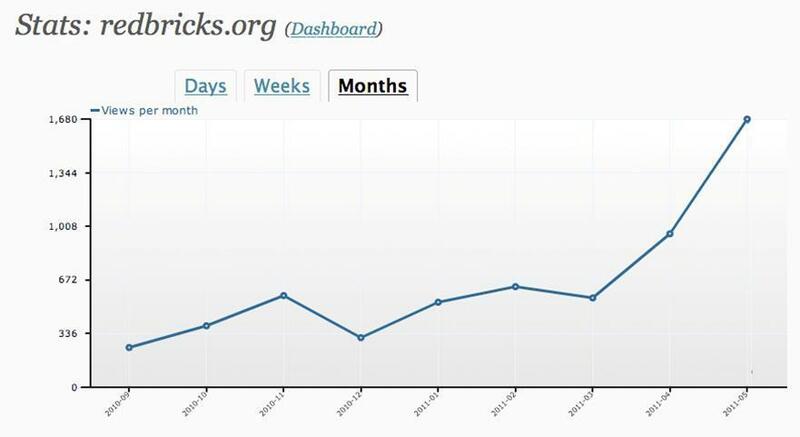 The readership figures have built up from a couple of hundred visits per month in the early months to well over a thousand per month at the time of writing. On of the goals was to make it easy for people to upload content. While there have only been 10 or so people who have come forward to add content directly there have been other people who have added photos to the Flickr Redbricks group and Facebook pages. The photo stream of the Flickr Group shows an impressive range of live and sights on the Estate.